Nurses Christian Fellowship is a Christian professional organization and a ministry of and for nurses and nursing students. The goals are to facilitate Christian spiritual growth, foster caring relationships among each other, develop Christian nursing leaders, and assist students to view nursing from a Christian worldview. 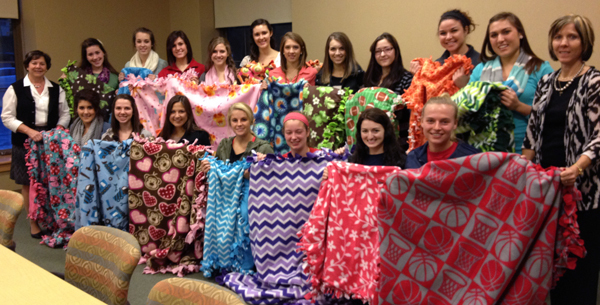 The Nurses Christian Fellowship group made some warm and cuddly blankets for The Children's Home for the babies and children.